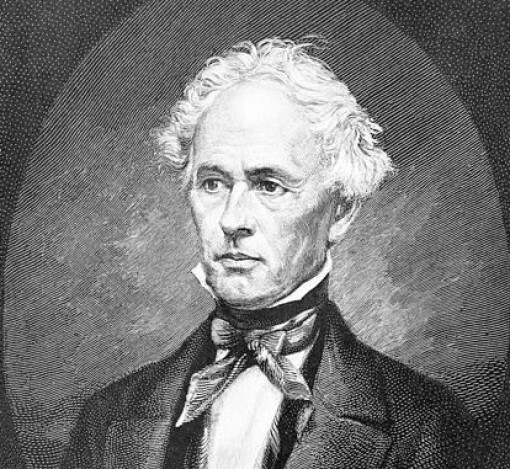 On March 26, 1789, William C. Redfield, the noted American meteorologist, was born in Middletown. Redfield had observed after a hurricane that trees in central Connecticut had toppled toward the northeast, but trees to the west had fallen in the opposite direction. From these observations, he was able to demonstrate that tropical storms move in a cyclonic path and his research helped develop a set of rules to assist mariners caught in tropical storms avoid the worst dangers. Redfield was also the first president of the American Association for the Advancement of Science. Redfield, W. C. “Catalog Record of W. C. Redfield Correspondence, 1789-1857.” Yale University, Beinecke Rare Book & Manuscript Library, 2014. Link. Redfield, William C. On Whirlwind Storms, with Replies to the Objections and Strictures of Dr. Hare. New York: J. S. Redfield, 1842. Link.